Calling all NYX Make-up fans! 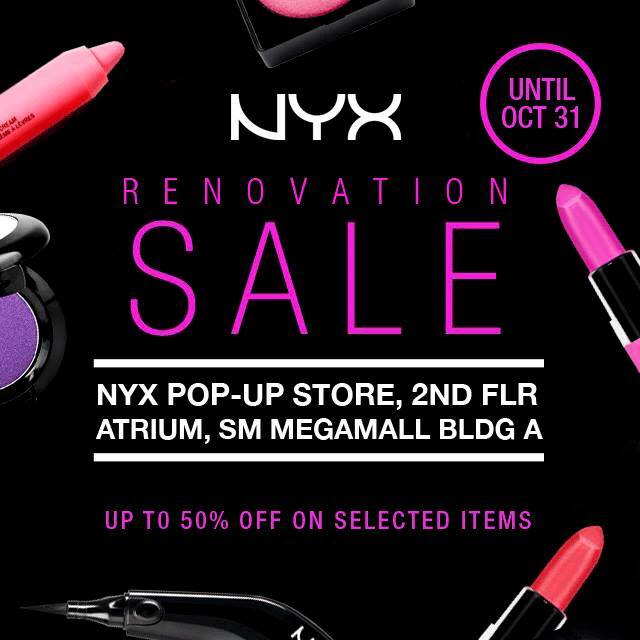 Head over to NYX Pop-Up Store at the 2nd flr of SM Megamall Atrium, Bldg. A and snag up to 50% off on your fave NYX products! Sale runs until October 31, 2016.